We are proud to introduce KRION™. 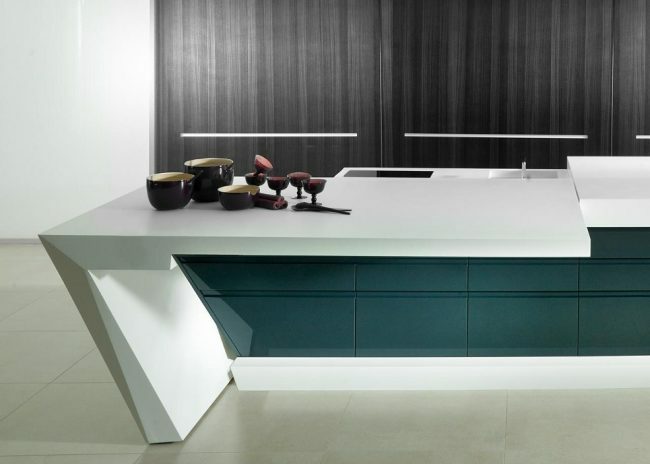 A next generation solid surface developed by Systempool for Porcelanosa, and available in pre-designed and custom design formats in our Woking showroom. It is a beautiful material, similar to natural stone, but the composition of KRION™ consists of two-thirds natural minerals combined with a low percentage of high resistance resins which provide its unique characteristics: an absence of pores, anti-bacterial, hard wearing, resistant, durable, easy to repair, low maintenance and easy to clean. It is processed in a similar way to wood and can be cut into sheets, joined and thermoformed to make creative curved elements. This solid surface is even possible to use in an injection moulding production process to create different designs and projects that would be impossible to create using other materials. Its warm surface is pleasant to touch and can withstand attacks by concentrated acids, is highly resistant to all types of stains and is unaffected by chemical products, including solvents. Its lack of pores and proven resistance to adverse weather conditions also make it suitable for outdoor use. Add to this its resistance to heat and fireproof properties, meaning that this versatile solid surface can be in contact with any heat source without being damaged. Among its numerous applications in bathrooms, this compact mineral solid surface can be found in baths, shower columns, shower trays, countertops and washbasin design. The Almond, SP Concept, Modul and Epoque series reflect differing design concepts. They feature classic symmetrical shapes in addition to curved rounded ones, achieved thanks to KRION™’s technical properties, providing a choice of different styles suitable for a range of bathrooms. The common denominator to all of them is a clear commitment to innovation and design, transforming bathrooms into a new experience in wellbeing. 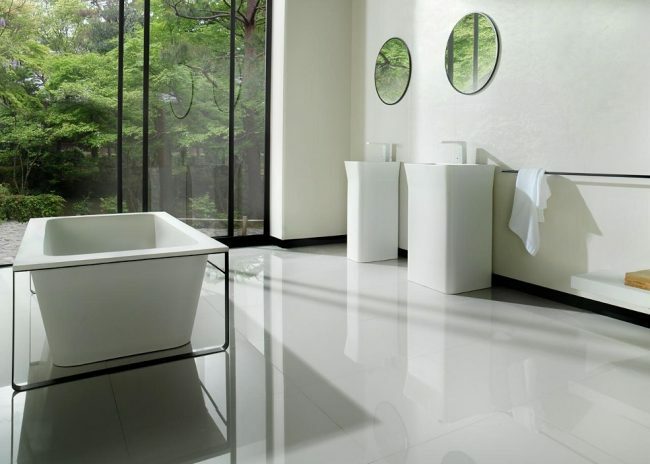 The use of KRION results in solid surface bathtubs which are resistant, durable, and which bring warmth to the bathroom. 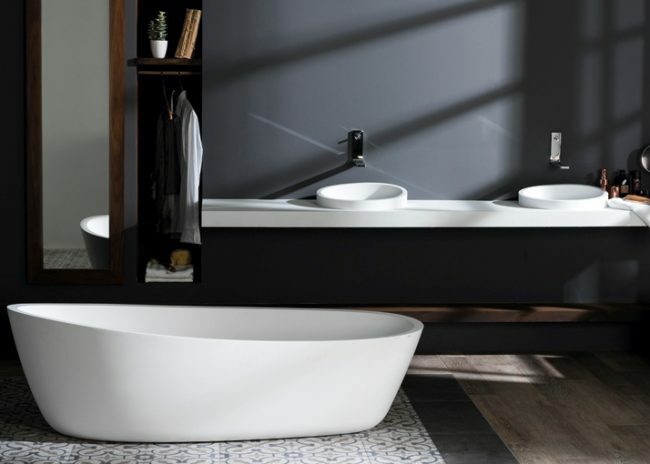 Bathtubs with smooth, rounded forms, bathtubs with geometric forms, and bathtubs with a purer, more classic style are just some of the characteristics of the solid surface bathtubs developed with the compact mineral KRION™. 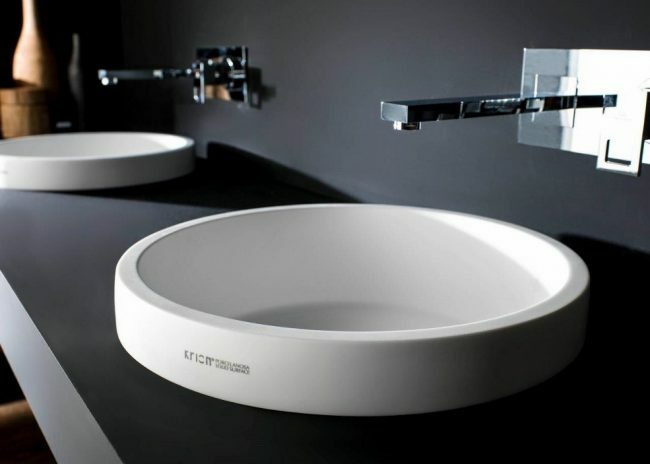 The solid surface washbasins developed by KRION™ allow exclusive and modern designs to be developed, with the maximum hygiene and quality, whatever their use and application. Factors as important as its anti-bacterial property, which prevents the accumulation of bacteria and microorganisms, its easy cleaning and maintenance, which allow the material to quickly and easily be returned to its original state, and its resistance to impacts make the compact material KRION™ suitable for creating latest generation solid surface bathroom sinks. It’s time to have a modern bathroom using one of the most robust materials in existence. Properties such as resistance to impacts, ease of cleaning and maintenance, its anti-bacterial qualities and non-porosity which prevent the presence of microorganisms and bacteria, and its ecological component make the compact mineral KRION® the perfect choice for creating solid surface shower trays which, in addition to providing hygiene in the bathroom, provide a modern, innovative appearance to the whole space. Discover our Unique series of shower bases and select the one which best adapts to your tastes and needs. KRION™ presents designers with a wide range of options due to its extensive range of finishes, with a wide range of colours including a pure white which looks beautiful in bathroom design, and offers endless possibilities in terms of design. 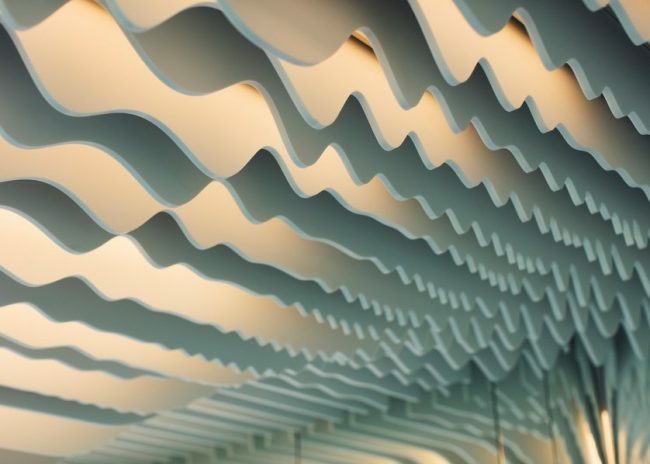 With the solid surface developed by Systempool, complex shapes of any type can easily be made. Its malleability and the fact it is easy to shape allows designers to give form to their imaginative ideas. Curved, squared and spiral elements or infinite shapes with imperceptible joins: any imaginable structure can be made. Furthermore, KRION™ is unaffected by the passage of time. In the event of breakage, repairs can be made on-site with a simple kit that restores the part to its original condition, with no trace of any join. KRION™ Solid Surface can be die-cut, expanding its possibilities even further – create everything from decorative to geometric shapes in small or large scale of dramatic design affect. Its unique properties mean that this material can also be backlit, with a degree of translucency chosen by the designer, to create suggestive atmospheres and spectacular shapes. Furthermore, KRION™ is manufactured under ecological conditions that do not emit volatile compounds. It complies with environmental guidelines in terms of durability and is fully recyclable. It’s time to design unique bathrooms with KRION™. A seriously advanced compact mineral available from our Woking showroom. Come and talk KRION™ creativity with us.